There have been a great number of celebrities who have tried their hand at the spirit game, from P. Ditty and Ciroc Vodka to Toby Keith and his Wild Shot Mezcal. Celebrities and spirits often seem like a win-win proposition. Celebrities tend to go out and spend a lot of money on drinking. They not only spend a lot of money on themselves, or have it spent on their behalf, they often influence other people around them by what they are drinking. Spirit producers entering a new product in a crowded category often see the benefit of teaming up with a celebrity to leverage their brand to help sell more product. When this formula works, it works exceptionally well, but more often than not it ends in failure and lawsuits (like Bruce Willis and Sobieski vodka). The hard truth is that the spirits industry is an extremely tough business that requires a lot more work, money, and patience than most stars want to endure. Some celebrities recognize this fact and either step back and let the spirit companies do the heavy lifting, like Justin Timberlake and 901 Tequila, or the do the exact opposite and put in the hard work on the ground to make a spirit successful, like Dan Aykroyd and his Crystal Head Vodka. 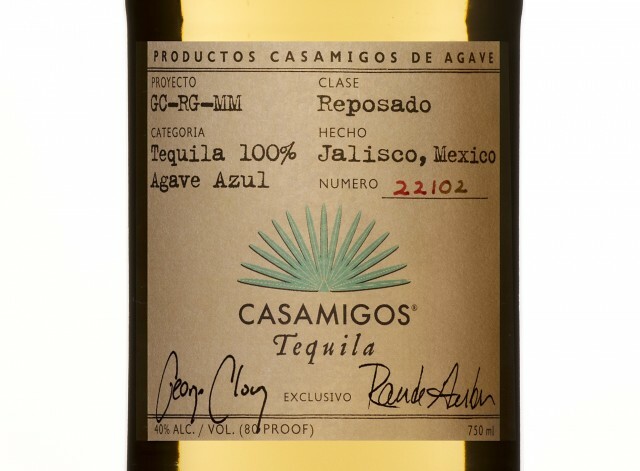 Casamigos Reposado Tequila (80 proof / 40%, $49.99 NOM 1416) is bright gold in color with a nose that features caramel, fresh agave, and a slight vegetal note along with a very soft and subtle white pepper and oak. 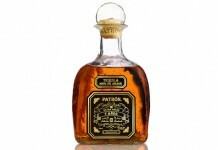 The entry is soft, lightly sweet, and delicate with caramel, agave, and light white pepper. 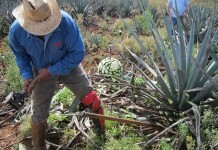 The soft white pepper spice really emerges in the midpalate but is well balanced out with the agave and caramel. 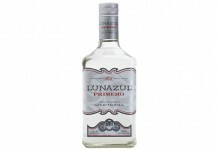 This spice builds to a slight peak at the end of the midpalate where it’s joined by a very light tough of oak spice. It’s hard to call the spike in pepper a true “pepper kick” – although it intensifies, it’s never very aggressive or overly spicy. The pepper and oak spice linger along with the caramel and agave for a slightly sweet and lightly spicy finish. Casamigos Reposado finish is really nice, something to really sit with and enjoy.